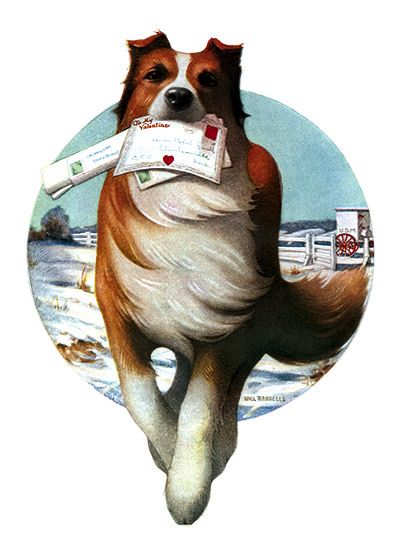 This collie dog obviously loves his job of bringing the mail. This collie dog obviously loves his job of bringing the mail. From a illustration for a magazine cover.